This set gives you another option in decorating your hoods. 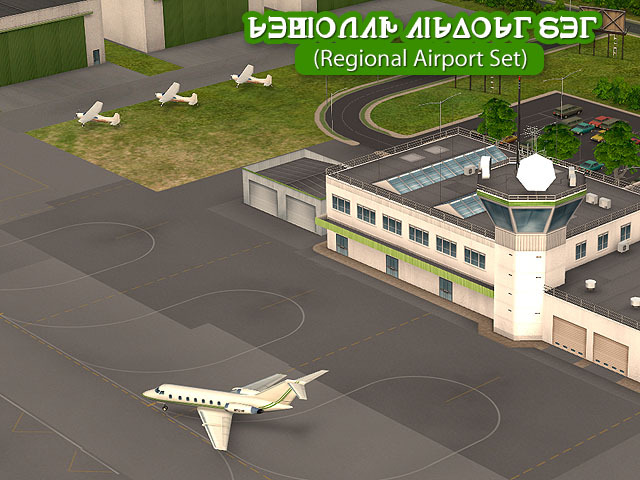 Now using these custom ‘hood decorations, you can add a regional airport to your town, business area, university camp or whatever! Since all main objects are extra large, they use an extra large custom textures so use this set carefully if your computer isn’t strong enough. I've set Night Life EP as required for using this decorations, but the idea is that you need at least one of any EPs installed,to have this decoration aviable from 'hood decorations menu. But it is also highly recommended to have a Free Time EP installed, to be able to edit exiting terrain, for better use of this set. Because of it was created for totally flat terrain, it may look bad on any kind of hills, mountains and terrain slopes – please keep this in mind when you will work on a decorative airport in your neighborhood. 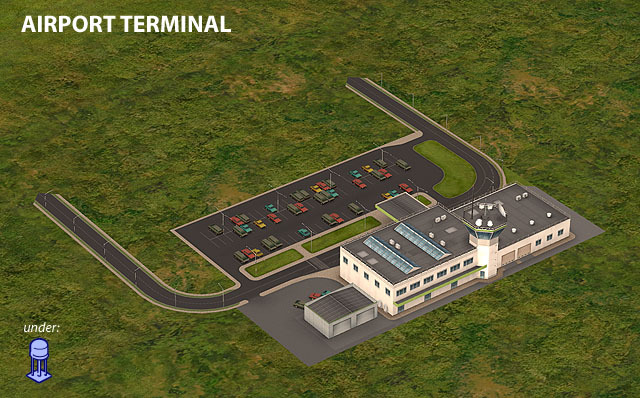 An object that includes terminal building with a control tower, road approach and car parking (all in one). Can be found under “infrastructure” of the ‘hood decorations menu. 2. Airport Runway and tarmac. 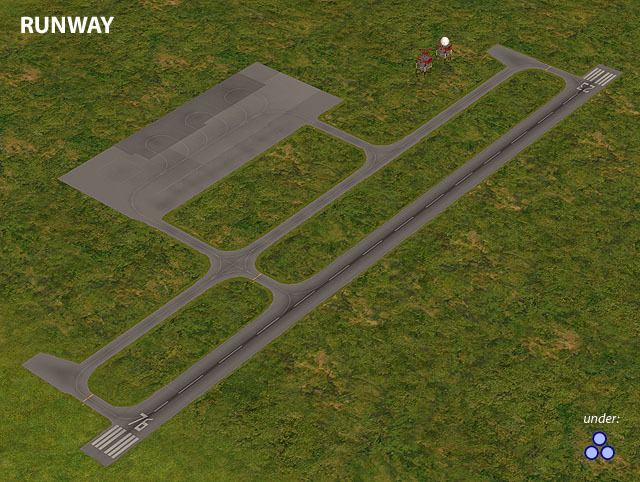 This object includes a runway, taxiways and tarmac. Navigation towers also is a part of this object. Can be found under “miscellaneous” of the ‘hood decorations menu. 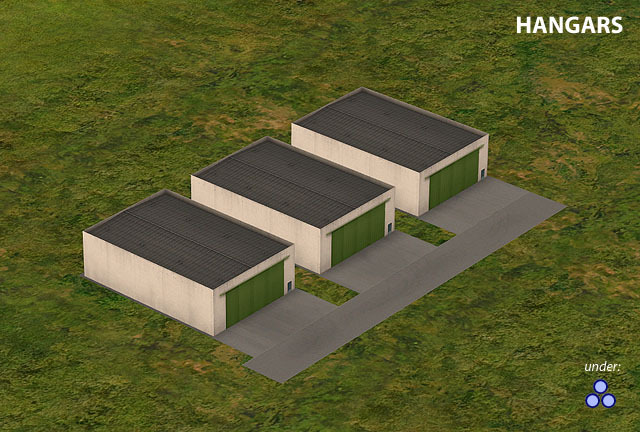 This is a simple object contains 3 airplane hangars with a taxiway. An airport without any planes? No way! 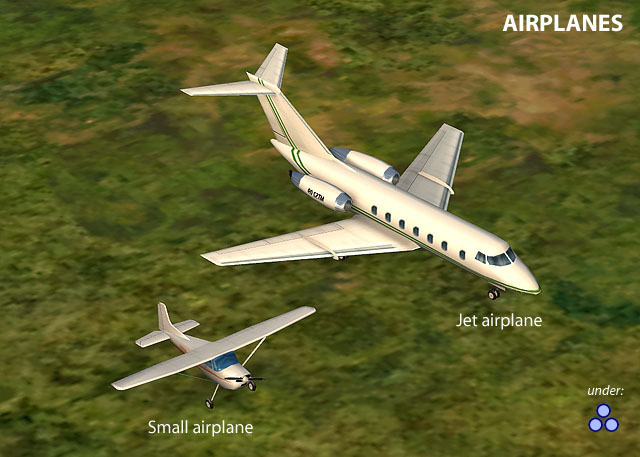 These 2 objects is a small Cessna looking airplane and bigger one that reminds some kind of business jet. All the objects can be placed over the road, and also, over the lot. 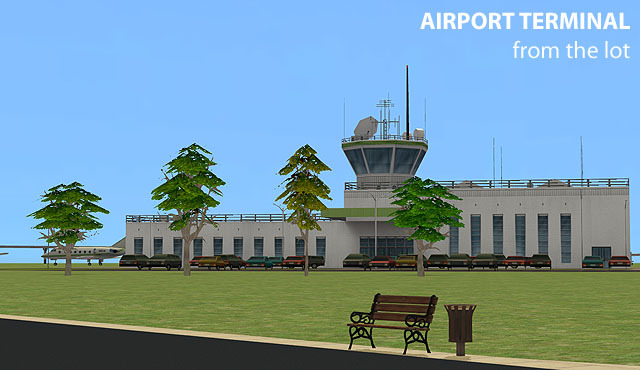 You can build your own airport buildings complex using the lots and combine it with some parts of this set to make an airport of your dream. As allways, BIG thanks to the community!